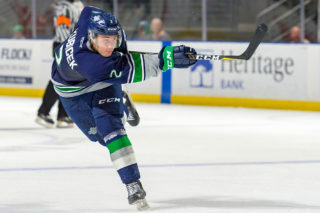 KENT, September 14, 2018 — The Seattle Thunderbirds 2018-19 Home Opener is Saturday, September 22, against the Portland Winterhawks at accesso ShoWare Center at 6:05pm. There are two options for purchasing single game tickets. Fans can go to the accesso ShoWare Center box office or online on the T-Birds website to purchase tickets. The accesso ShoWare Center Box Office is open Monday through Friday 10am to 5pm. At the Home Opener there will be a Party On The Plaza with food, music and a beer garden that will start at 3pm. All fans in attendance will receive a T-Birds Magnetic Schedule courtesy of Pat’s Plumbing. The T-Birds are currently six games into the preseason schedule and have a 4-2-0-0 record with our last preseason game on Saturday, September 15, in Everett. At the Everett Preseason Tournament over Labor Day, we went 1-2-0-0 with a win over the Everett Silvertips and losses to the Vancouver Giants and the Spokane Chiefs. We defeated the Chiefs 3-2 on Thursday at the Red Lion Hotels’ Preseason Classic in Kennewick. In our game Friday at the Red Lion Tournament, we beat the Kootenay Ice 3-1. We defeated the Silvertips 4-3 in a nine-round shootout on Tuesday, September 11, at accesso ShoWare Center. 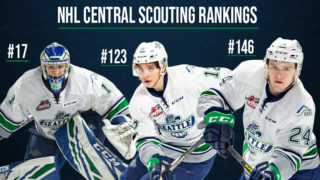 Reece Harsch, Jarret Tyszka and Liam Hughes have been invited to NHL Training Camps. Our two Import Selections, Andrej Kukuca and Simon Kubicek, are contributing on the scoresheet this preseason. Kukuca has four goals and four assists in five games and Kubicek has two goals and two assists in four games. It’s going to be exciting to watch these two this season. 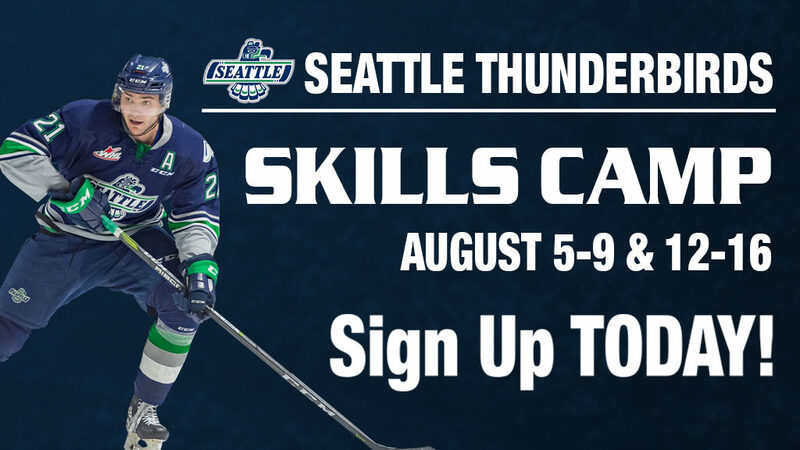 In the 2013 preseason, @SeattleTbirds F Alexander Delnov had 9 points (5G 4A) in 5 games. He followed that up with a 29G 34A campaign in 71 regular season games. Might newcomer Andrej Kukuca have a similar season in store? He has 6pts (2G 4A) through 4 preseason games so far. As the season gets closer the team will be announcing our team captain and alternate captains. Keep an eye on our website and social media platforms for that announcement. We have signed seven of our nine 2018 Bantam Draft picks to Standard WHL Player Agreements and we signed two list players who had impressive showings at Training Camp. We have a special T-Birds Flag Raising Ceremony at Kent City Hall with City of Kent Mayor Dana Ralph on Friday, September 21. We look forward to seeing as many T-Bird fans as possible at the flag raising. Make sure to wear your T-Birds gear to the Flag Raising. Tickets for the exhibition game against the Everett Silvertips on Tuesday, September 11, at accesso ShoWare Center at 7pm are on sale. This is a 2-for-Tuesday game and all tickets are two-for-one and can be purchased at the accesso ShoWare Center box office or online on the T-Birds website. 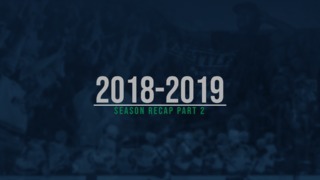 T-Birds 2018-19 season tickets are currently on sale. Season tickets can be purchased by calling the T-Birds office at 253-239-7825.